After I decided to get married to my boyfriend of 6 years, I decided to get surgery. I was sad that my 20s was not pretty so I wanted to be pretty for my new start. It took over a month to persuade my boyfriend. Finally my boyfriend respected my opinion and agreed. I wanted to be a prettiest girl in my wedding! she looked somewhat masculine despite of her bright skin tone. After 6weeks, the world has changed! My face is slim and the swelling on my eyes is better. I have the V-line when I take a photo from the front and side!! I can open my mouth the same as before and have no problem eating. I tend to get swelling easily but almost all the swelling was gone by 6 months. On the surgery day, I was nervous. My boyfriend wanted to come with me but I went to the clinic alone. I changed my clothes to a patient’s uniform and washed my face. Then, I talked to my doctor. 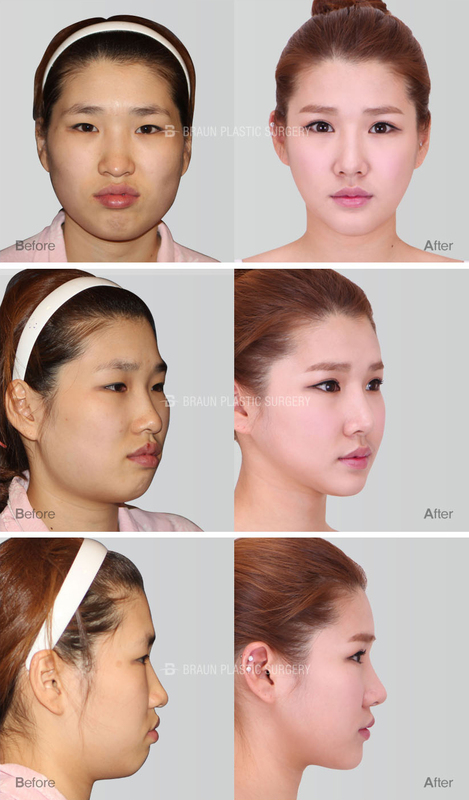 Dr. Tae-gyu Kim was in charge of my jaw and cheekbones. They checked my eyelid line before the surgery and explained about the facial contouring in detail. Then finally, I went to the operating room!! On the second day, I went to the clinic and was disinfected. Every day seemed too long and the swelling was getting worse. My head felt too heavy, so I was almost lying down. I used an ice pack so as not to get any more swelling, and did it again and again after sleeping. I could not open my mouth because of the lifting mask and swelling. So I put pumpkin soup in a syringe to eat. And I went to the clinic on day 5 and got the splint removed and I could see my high nose. day 2~ 3 days and the swelling on my eyes was better as well. The swelling was going away quickly ! My head felt lighter so I could move around easily. And I could open my mouth wider than before so I could eat pumpkin soup with a syringe better. I could already see the V-line!! Do you see the swelling is gone? And my nose side line, this is the nose, the natural line that I really wanted. Eating the food I wanted! Awesome line on my jaw! Really slim right? My nose was good but my eyes still had swelling. The nurse told me a hot pad was good for swelling after a week. I ate the chicken that I was waiting for. After a month, I could eat chicken. Before eating, my mom and boyfriend made me exercise the muscles. I needed to exercise the muscles on my mouth. Otherwise they didn’t let me eat. They were worried. My life has changed completely! I got married and these are the pictures I took on the way from my honeymoon. But after surgery, no more thick make up. I do a natural style. Even I only do eyebrows and lip gloss I look different. My face line has changed the most! 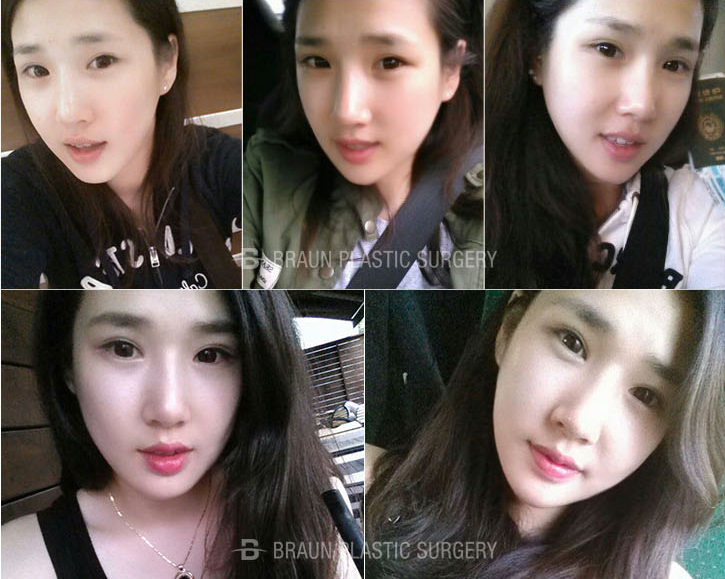 After 6 months, the swelling is almost gone, so don’t worry even if your swelling is bad ! !